Stakeholders in Kogi are not amused by Governor Yahaya Bello’s seeming puerile approach to governance especially issues of importance as the Fulani herders/farmers clash. 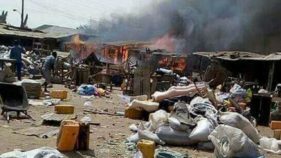 In the wake of the renewed killings and attacks by the Fulani herdsmen in neighbouring Benue State that had left scores of innocent citizens dead, the people of the State have been apprehensive going by their bitter experiences in the recent past in the hands of the herdsmen. At the first instance, the Governor had threatened to dethrone any traditional ruler in whose domain any crisis of the Fulani herders/farmers occurs as well as local government chiefs, whether elected or appointed. The Governor rejected calls for enactment of anti-open grazing law by stakeholders, which was adopted by neighbouring Benue and some other States, insisting that Fulani herdsmen, being Nigerians, were welcome into the State to do their business without any let or hindrance. At what was supposed to be a stakeholders meeting in Government House, Lokoja where the farmers were scarcely represented, the Governor dominated discussion almost imposing his decisions on the people. Bello went ahead to also order that the representatives of the leaders of the Miyetti Allah cattle breeders Association be incorporated in the State council, local government and traditional councils. This has not gone down well with many stakeholders who believe things should have been done otherwise, especially the need to look in the direction of the anti-open grazing law. Traditional Ruler of Ellete Community, Chief Aminu Ahmed Aku, at the gathering recalled how he was kidnapped, adding that his captors were Fulani herdsmen. He went ahead to open up on how his release was secured by the State Government through the Ajaokuta local council with N2million ransom. Aku also canvassed for the anti-open grazing law. The Ejeh of Dekina, Alhaji Usman Obaje, calling for the State to enact the law, recalled how his own cousin was a victim as she was raped by the herdsmen at the river alongside other maidens who came to draw water, adding that the herdsmen took turns in the act at gunpoint. Many of the sons and daughters of the State, both within and outside, have been watching with keen interest how the politics of Fulani/farmers in the State is being played out. As a result, many of he stakeholders believe that Bello was playing the good boy to the powers-that-be, he went almost with the speed of lightning to Abuja to subscribe to the proposed cattle colony option. They were at a loss as to how the cattle colony policy of the Federal Government, which is yet to be understood and accepted by Nigerians, was already being subscribed to by the Governor without any consultation or deliberation by the House of Assembly. Bello while declaring interest to implement the Cattle Colony policy when he visited Audu Ogbe the Agriculture minister in Abuja, noted that Kogi State is basically agrarian. “Of recent, we had a peace and security meeting with some Fulani herdsmen in Kogi state. Our communities, our traditional rulers, our youths, our farmers and the herdsmen that live amongst us: we have agreed to live in peace. And to be able to permanently live in peace, we must look for a permanent solution, which is ranching. “While we are on that, we are aware that the Federal Government, especially the Ministry of Agriculture is coming up with what we call Cattle Colonies Programme and we want Kogi State to pilot this particular programme and we are very confident that, with the peaceful co-existence in Kogi state, it would be a success. He said they were going to drive it and make it a model that other states and even other countries will come and copy from the State. 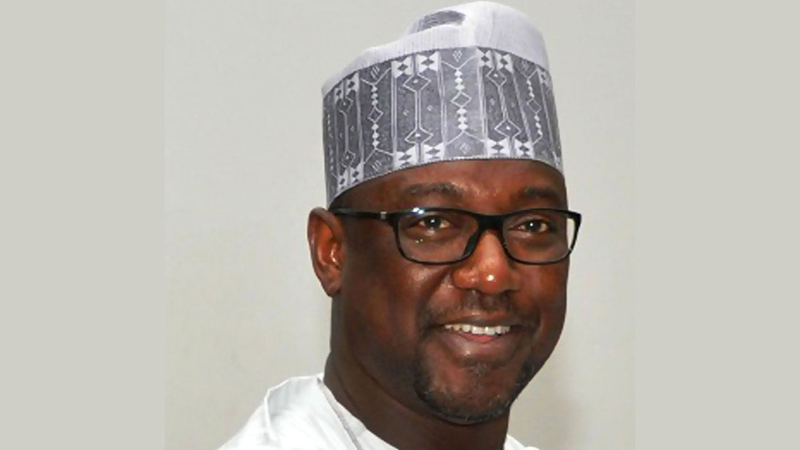 Bello indicated that his Government will make it another form of agricultural activity for the teeming youths that are already engaged, adding that he would engage them even more in the production of livestock dairy and the rest. However, the running mate to the late candidate of the All Progressives Congress (APC) in the November 21 and December 5, 2015 governorship polls in Kogi State, James Faleke, berated Governor Bello for buying into the proposed cattle colony policy of the Federal Government without allegedly consulting widely. A constitutional lawyer in the state and a social critic, Joel Usman, said the decision to invite the rejected herdsmen from other States is not in the overall interest of the State. He observed that in a situation where the traditional rulers have been mandated to involve the Fulani in the traditional council and in the local council even when there is no legitimate council in place, and even for them to be represented at the state level, is not in the interest of Kogites. The former deputy governor, Yomi Awoniyi, said having considered some of the steps the state is trying to take to assimilate the herdsmen within various communities in Kogi State, it is very necessary that politics is not played with the issue. “There should be a wide consultation because what is being suggested will impact directly on some communities, therefore, it behoves on the Government to ensure that it consults extensively and most importantly this matter should be discussed exhaustively in the House of Assembly. Executive Director, Center for Human Rights and Conflict Resolution, Miliki Abdul, said there was need to caution the governor over the issue. “For a policy that has just been pronounced and he is saying they should come and implement it in Kogi State, does it have a legal backing? He should know we are operating federalism and in a federal system there is some level of autonomy the states exercise vis a vis the federal Government. Immediate past governor of the state, Capt. Idris Wada, on his part proffered a solution to the Fulani herders/farmers’ clashes saying his government did an experiment in the State which worked, where some missionaries in Ajaokuta Council established a school and the government provided electricity and borehole and a plot of land that was divided into five segments. Following the recurrent attacks by herdsmen in Ondo State, the people have decried the proposed grazing colony by Federal Government as an expansionist policy and a subtle attempt to displace the people of their land. The voice against the herdsmen invasion became loudest when some of them kidnapped the former Secretary to the Government of the Federation (SGF), Chief Olu Falae, at his Ilado farm, Akure North on September 21, 2015 during his 77th birthday, demanding N100m ransom. The continued rampage into the state, though five of the Fulani herdsmen and others at large were eventually arrested by security operatives and prosecuted, has made the citizenry to suspect a foul play in the grazing colonies. 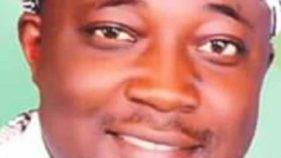 A human rights activist, Cornelius Ademitiku, who described ranching as the process of raising livestock, said grazing colony is a fraud by the Federal Government and a ploy to dispossess the people of their land and with several unhealthy motives. Ademitiku urged the Federal Government to desist from such obnoxious policy and allow the herdsmen to build a ranch for themselves, where the land-owners are willing to offer their own landed properties. One of the victims of herdsmen’s incursion in Arodoye community, in Akure South LGA, Mr. Solomon Salami, affirmed that the grazing colony would further cause tribal wars between the herdsmen, who are mainly Fulani and their hosts. Salami, whose sister-in-law, Patience Salami was killed by herdsmen after over 200 acres of farmland was destroyed recently, said grazing colony is a policy somersault because the herdsmen are traditional cattle rearers, who cannot comply to the principles of modern practice. He, however, lamented that notable people in the state are the owners of the cattle and the ones shielding the herdsmen from the law. The Guardian also learnt that a former retired Inspector General of Police, who has a large drove of cattle and is a native of one of the Akoko communities in Ondo North Senatorial District, has oftentimes used his influence to intimidate farmers whose farm produces were destroyed in that part of the state where the menace records highest incidence. Eniola Onuwaje from Ilaje, noted that the best practices across the globe is building ranches for cattle-rearers as obtainable in countries like Brazil, Australia, Switzerland, India, USA and other African countries like Ethiopia and Zimbabwe. Onuwaje urged government at all levels to intensify efforts on building ranches and training people on the best modern practices on how to breed healthy cattle. “The truth is nomadic cattle rearing is an economic loss and an under-utilised investment plan. The processes of herding the cattle from hinterland to coast make the creatures to lose economic value. They all urged the state governor, Oluwarotimi Akeredolu to protect them and their farmlands by taking stringent measures like his Ekiti State counterpart to reduce the menace of the herdsmen. But contrary to the expectations of Ondo farmers, Senior Special Assistant to the state governor on Agriculture, Pastor Akin Olotu, disclosed that cattle rearing and grazing would not be prohibited in the state. Nonetheless, he emphasised that plans are underway to regulate the activities of the herdsmen and their cattle to ensure peaceful co-existence of farmers and the herdsmen. Olotu, who was the Chairman of Ondo State Agricultural Commodity Association (OSACA) and had led several protests against herdsmen invasion on farmlands until his appointment last year, disclosed that government has no plan to neither ban grazing nor restrict anyone from farming. He stated this at a stakeholders meeting with all security agencies, Fulani settlers, herdsmen, farmers, Ministry of Agriculture, traditional rulers and community leaders to find lasting solution to the gales of herdsmen invasion and destruction of farmland across the state. The policy came the same day that Federal Government took contrary decision after a six-hour meeting with security agencies, five governors and FG delegations to ban open grazing in reaction to the herdsmen pogrom in Benue State. The Delta State Government has said that until the Federal Government states clearly what it meant by colonies, it would find it difficult to comment on the current moves initiated by it. The Chief Press Secretary to Governor Ifeanyi Okowa, Mr. Charles Ehiedu Aniagwu, who spoke to journalists on the issue, said it would be very difficult for Delta State Government to take a stand on the present colonies, adding that the state needs proper education so as not progress in errors. He called on the Federal Government to, as a matter of urgency, find lasting solution to the herdsmen/farmers clashes in the country. But one of the farmers who spoke to The Guardian, Enebeli Joshua, said that the entire farmers in Delta State have rejected the proposal to establish cattle colonies in the country, saying that it was a strange system in Nigeria. On the 100 billion approved for the process some years back the Chief Press Secretary said that until the Federal Government is accountable to the Nigerian people on what happened to the money, there was no need to be talking about colonies not understood by many Nigerians. Another farmer, Okwudi Okolie, warned that if Federal Government fails to do the needful, there might an empty country especially with the trend of killings, adding “we reject out rightly the so-called colonies, we want our farm crops protected. However, farmers in Ndokwa East and West, Abraka, Ibusa, Agbor and Abavo have vowed to protect their crops and also ensure the protection of their lives with all it takes, calling on the Federal Government to put an end to the unnecessary killings by the herdsmen. National President of Miyetti Allah Kautal Hore, Alhaji Bello Abdullahi Bodejo, has accused National Assembly and Presidency of not doing enough in ensuring that Governor Samuel Ortom did not go ahead to implement anti-grazing law. He said provision of ranches might provide short-term solution to the prevailing crisis. 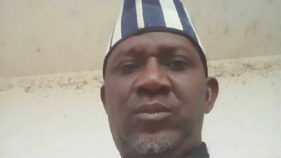 The Miyetti Allah leader, who claimed that Governor Ortom should be held responsible for the unfortunate crisis and loss of innocent lives, explained that several unsuccessful attempt to reach meaningful reconciliation with him, particularly the grey areas in the law, could have prevented the needless national tragedy. “The major problem in Benue remains the law enacted by Ortom preventing our fundamental rights enshrined in the constitution of Nigeria and African Charter which provides freedom of movement anywhere within and outside the country. “The law is clearly against the cultural interest and business nature of a Fulani man who is a Nigerian and is more concerned about the survival of his cattle. “A Fulani man will always want to be on the move to look for greener pastures and water for his animals anywhere and everywhere as guaranteed by the constitution of Federal Republic of Nigeria. “But when you look at the laws in Benue, it has clear dissonance to our interest and survival as Fulani people especially Article 9 of the law which says anybody interested in ranching will only be authorised for one year. Security expert, Dr. Ona Ekhomu, spoke on the problem of herdsmen violence in Nigeria, saying it is a serious security challenge, which is testing the fault lines of the Nigerian nation, recalling that the armed herders have for several years attacked communities they feel have wronged pastoralists under their security umbrella. He stated: “These militias have constituted themselves into an alternative avenging and primitive force, whose role is to right alleged wrongs against Fulani pastoralists. On the security implication, he stated: “The high death toll is totally unacceptable in a civilised society. Regarding the destruction of private property, Ekhomu: “The end product of pastoralist attacks is huge loss of property. The pastoralist militias often destroy the homes and farmlands of their targets and often torch the physical assets. The herders’ violence, he stressed, might result in the labeling of Nigeria as a failed state, saying in the modern democratic state, the government should monopolise violence, fearing that the armed herders appear to be running their own alternative government that has the power to punish those who offend their grazing or moral rules. The security expert feared that Foreign Direct Investment (FDI) abhors violence and the herders’ violence is discouraging foreigners and Nigerians in the Diaspora from bringing their monies to Nigeria, even though the returns on investment may be high. Ekhomu lamented that herdsmen violence often result in the killing of children, women and the elderly, the weakest members of society, adding that by allowing these killings to proceed unchecked, the government might be signaling that it is backward and primordial and incapable of protecting the most vulnerable. As a result, he said the unabated violence could compel many communities to take up arms in their own defence, believing that Fulani herdsmen do not have the monopoly of violence and violence begets more violence. Another implication of the killings, he noted, is that it wrongly portrays Nigeria as a land where might is right and rule of law is ineffective, since the herders’ violence appears to be anchored on impunity. “It is conceivable that some foreign state or non-state actors could assume that since Nigeria is unable to combat the herdsmen killings, it is weak and therefore attempt an invasion, including Al Qaeda, ISIS and other state actors. On how the killings can be checked, he said: “The security agencies must be willing to do their duty without fear or favour. Anytime there is an incident of herder violence, the perpetrators should be speedily detected and brought to book. He added: “In a place like Logo and Guma Councils of Benue State, where the killings are very rife, a special military task force should move in to pacify the area and arrest members of the killer militia. “It is unwise to send armed policemen to confront the herdsmen militia. The Federal Government adopted this same failed strategy at the early stages of the Boko Haram insurgency. There must be thorough threat/vulnerability assessment to enable a proper determination of what security assets are needed to combat the challenge. Only a suicidal fool takes a penknife to a gunfight. Ekhomu stated that drawing from the activities of the Civilian JTF (CJTF) in Borno State, which helped the military take the fight to Boko Haram, this model of community policing should be embraced in the states experiencing recurrent herdsmen attacks, as lightly armed local boys can engage the herdsmen and then call in the authorities as back-up. He also called for credible intelligence gathering, adding: “Proper and robust intelligence gathering, analysis and dissemination would enable the security forces to learn the intentions of malevolent herders ahead of time. Intelligence assets are extremely important in combating herders’ violence. He stressed that since by some accounts, the herdsmen come into Nigeria from neighbouring countries to kill farmers and destroy communities and property, ostensibly at the invitation of Nigerian herders, there is need to tighten the country’s porous borders and nobody seen as a security threat should be admitted into the country. He recalled that the concept of cattle colony sounds similar to grazing reserves, with 16 states said to have indicated interest in it, just as several state governments have also announced opposition to it; hence it could work well in the far northern states, but may not be welcome in the North Central, Southeast, Southwest and South-South. He reckoned that cattle ranching would work well in non-cattle-colony states, as practised in several African countries, including Swaziland, South Africa, Kenya, Tanzania, Mozambique, etc. “Clearly, climate change is making the competition for grazing resource keener, as herds tend to move southwards for pastures,” he maintained. “I like to propose the inauguration of a Community Security Defence Shield, a new security architecture that will leverage the mobile telephone in alerting the authorities about herdsmen attacks in progress. “Since the herdsmen usually take several hours to dismember the bodies of their victims, burn down the houses and farms, a phone application that allows villagers to communicate their distress to the authorities could be a life saver,” he stated.